Created in France in 1992 by Paul Pekmez. 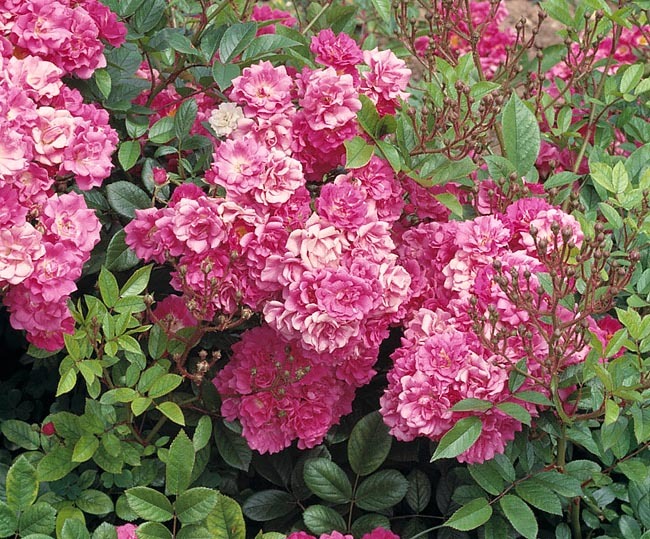 Very thick clusters, with corollas of 25 fuchsia-pink petals, slightly perfumed. → History of the rose : from the Wild Roses towards a perfect rose. → To appreciate the biodiversity of roses, please click here.